In my previous life I had to give talks on a regular basis usually running from around 15 minutes to 60 minutes (questions included), although a few were 10 minutes and 120 minutes respectively. I found the size of the audience (usually 10-300) never really matters as much as its composition, here experts are easier to “handle” than non-experts, because the latter may misunderstand the subject and ask strange questions(*). (*) My favorite one being the nuclear physicist who was trying to use the optical theorem (quantum wave scattering) to try to understand a binary star collision. There is one golden rule when it comes to giving talks and that is “Don’t get derailed!”. Other than that, there are two ways to give talks. First there’s the linear process. In the linear process, you cover 1/3 of introduction, 1/3 of intermediate stuff, and 1/3 of advanced stuff. Normal attention spans, even for people who have trained for years to sit quietly and listen, is around 17 minutes. Hence, try to make your introduction as good as possible … 17 minutes is just about your introduction in a standard seminar. Of course this could also suggest that people lose their focus once they no longer understand what you’re talking about. Personally, I have, therefore, broken this role and done 2/3 of introduction and 1/3 of advanced stuff. I feel that if people aren’t learning something, they’re wasting their time. The problem with the linear approach is that it is very susceptible to derailing. Every slide needs to be superbly timed. Also, if people get lost, they are really lost. The other approach is the onion approach or the spiral approach. The idea here is to start be describing the complete approach as simple as possible leaving out a lot of details. Then process is described again in somewhat more detail. And then a third time. This approach can not be derailed (mainly because there is no rail). On the other hand it can not make rapid progress. In fact progress is hard to quantify. In my martial arts training, I have noticed that karate uses a linear approach to teaching. You drill a set of techniques for a certain time and then you get tested in those before you start learning new techniques. Each new technique is quite different from previous techniques. Conversely, shinkendo uses the onion approach to teaching. Each technique has several levels starting with a couple of cuts and then progressively adding more cuts on the more advanced levels. While I have only tested for the first level, I know (a few) techniques from the fifth level. The linear approach is the specialist’s approach whereas the onion approach is the generalist’s approach. A specialist needs to be competent in a single area, and thus always moving in one direction is the most effective approach. A generalist must be widely competent and thus can not afford not to know the wider environment, he is moving through. The onion approach to teaching is much harder to implement because it has few precedents in our educational system, which of course is mainly designed to sort students into various vocations and teach them specialized skills. Hence, few people have much experience in teaching in this way. As well, few people have experience learning this way and will tend to find the onion approach unstructured and wavering. For this blog, I have tried the linear approach already in the 30 day challenge and the problem here is clearly that people will get derailed by their inability to, say, move out, get rid of their car, or similar, basically making the rest of the “talk” a waste of time. I wonder, therefore, if the onion approach is not the superior way to teach something like early retirement. What do you think? 16 users responded in " Teaching and talking "
Is liberal art the onion approach? I thought your whole blog is a big onion-approach education. Even your book list is more on the generalist side. @PC – I have not seen the onion approach in liberal arts teaching or in my blog for that matter. Both seem to be a random and non-developing covering of the subjects, although both are generalist. Your post made me think. I have adapted an onion approach to early retirement. For example: after reading YMOYL I stated thinking about my spending; now, a year later, I do tend to track every cent I spend. I have gradually grown more ‘extreme’ over time. But how would you teach ER with the onion approach? What would, like in shinkendo, be the techniques and their levels? @FiE – I don’t know. I would have to think about it, a lot. I think you’re on to something there. Perhaps the Onion approach is what you need for teaching early retirement to the newbies, and then you’ll want a more linear presentation to give a complete, detailed picture to people who are more familiar with the topic already. Onion approach: the introduction is, “yes, it can be done and all it involves is making the sacrifice to not spend”. Then delve into all the items that make the budget work together. Then take each item and describe them in detail. I think, combining linear with onion, will manifest as starting with the small expenses and working towards the big ones or vice versa. The former provides a big finish for the tale, but is not the realistic way to approach it if you want fast results. The latter provides fast results, but is a boring finish. I have been thinking about this ever since you posted it. I was a Pure Math student (two years of graduate study), so I’m writing from the perspective of Math lectures. Many people try some form of the onion approach without really thinking about it. It’s not unusual for a lecturer to try and give the students a metaphor for intuition. The problem is that summaries are usually given on the spot and not thoroughly scrutinized. People frequently mix up their intuition vs. an actual, high-level summary of the topic. This is a major problem in Math because of the rigor necessary-metaphors and intuition for a topic can be completely unrelated to the logic behind a proof and teach students to think incorrectly. But even outside Math, how often have you seen a lecturer give a metaphor for a topic that isn’t really related to the details? You can’t build instruction off such a metaphor, though people try all the time. I’ve definitely seen this in Math, Physics, Chemistry, History, and Music classes. So I think the onion approach is actually fairly popular, just badly executed. But if one consciously thinks about the onion approach, and makes sure that their summaries are actually based on the details *and* uses those summaries to drive the lecture, *then* the onion approach works. But I think the failure of the “standard” summary-based approach ruins most onion lectures, and is the biggest thing to watch out for. If I ever give another math lecture, though, I’ll definitely use the onion approach. Thanks for bringing it up! It seems to me like these two approaches are the same. When you are attempting to teach behaviors, the onion approach probably works best. Linear probably works better for pure knowledge or specialized skills. The Boy Scouts, for example, are successful using the onion approach. As a scout advances in age/rank, he essentially learns the same kind of thing, say “First Aid”, but at a deeper level with each repetition. Absolutely with the Onion Approach! What you offer in the linear 30 day option is something that few people can manage all at once. However, none of them are invalid ideas. It’s just that you imply a timing. I’ll never reach an early retirement at this point, but many articles shed light on the subject, building a mosiac. You do not teach a method, process, or procedure — making a linear process of strict instruction more appropriate. 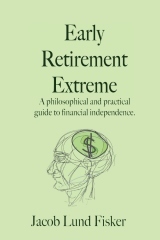 Rather you speak of a philosophy or approach on how your daily living can steer someone from a horrid rut into, if not early retirement, a greater resiliency in living and understanding the unintended consequences of all those (very small) decisions. The Book of Five Rings, gives you two sentence advice, then suggests you “Think and meditate deeply” on those two sentences and see how they are understood and can be applied to any discipline you chose to study. Thanks for not being this simple, Master! @ BeyondtheWrap — looked at from a particular vantage point I suppose that the Onion/Linear approaches to presenting information could be the same. However, the Linear approach is the one used to solve a math problem. In each step of that solution you only need to know one procedure, and apply it correctly. The Linear approach excels at using a logical arguement to prove a point. The Onion approach, is the one best suited to describing a picture to someone. You start off by saying there is a man driving a car on the freeway. Then you talk about the car’s color and the amount of traffic on the road with him. Then you talk about the particular model of the car, the particulars of what is in the scene. AND probably the best way to teach ERE is something completely different from these two approaches. As someone who tutored math for years and years, I say that the best way to learn is to do. Probably, there are some beginner’s ERE exercises sort of like the 30 make over, but on a more manageable level. For me that beginner’s exercise was to go through my possessions and weed out the ones that were really just taking up space and find new homes for them. The first time through I went for low-hanging fruit. I just weeded out the ones that were easy to let go of. Regardless of how the material is presented, I use the onion approach to learn and establish a new lifestyle. There just isn’t anyway that I am possibly going to register everything at one go. Listen, get some of it, apply, repeat. In the long term that is the most reliable way to learn how to transform one’s approach to Life. the answer to the question is: Is your student a farmer or a hunter gatherer? I am a hunter gatherer looking for low hanging fruit. Each day I wander the knowledgescape looking for useful fruit. When I find it eat it. Doing this each and every day provides a gently ascending spiral of useful knowledge, and over time increasing knowledge allows me to recognize fruit that seemed like weeds to my earlier self. I submit that this is also what you are doing Jacob. You just like to talk about it. Here’s the thing. The key thing. Life is short. Fix that. The onion approach is how kids learn and how languages are learnt. My son labelled all animals as ‘cat’ when he was 2. Then slowly he differentiated between cow, dog, cat etc and later between cow/bull and much later between the different ‘brands’ of dogs. I think it is the most intuitive and quickest way of learning, also because it builds self-esteem. You are getting more and more successful instead of failing and having to go back in the linear system.